It seems a bit silly doing a post called the pre-summer edit, but at the moment we aren't really in full summer mode. It is still miserable, I have no holidays planned and I am working! So, the aim of this post is to get us all in the mood for the summer and brighten up a gloomy weekend. 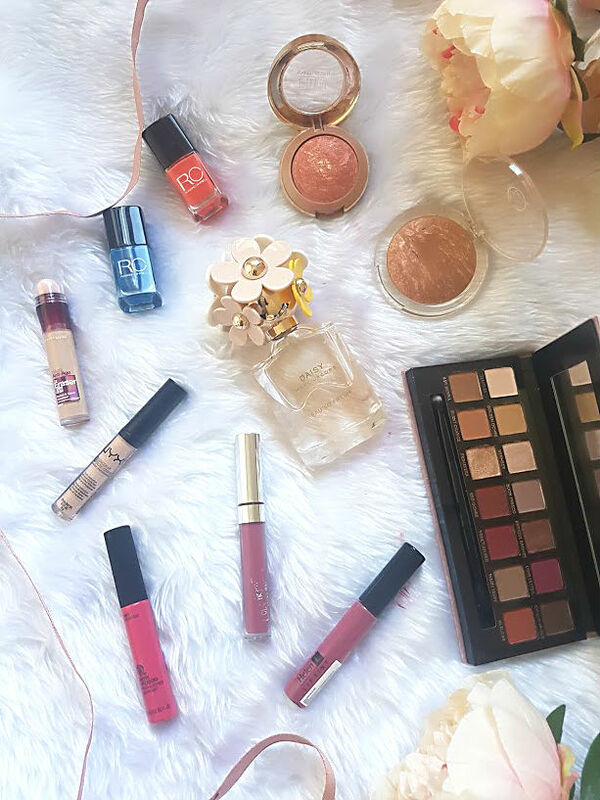 There is a whole mix of beauty in this post and I tend to go for the same products for a few months and then rotate everything around, expect an actual summer edit in a few months time! My obsession with concealer is getting out of hand, not as bad as other people but for me its a lot. I never used to be somone who likes using concealer but recently, I've realised that it makes all the difference to your makeup. It covers, helps to make everything look even and in this case brighten. The bags under my eyes are horrific, to the point where even my glasses can't hide them anymore. Using a combination of both the NYX HD Concealer and Maybelline Eraser Eye has been working wonders. 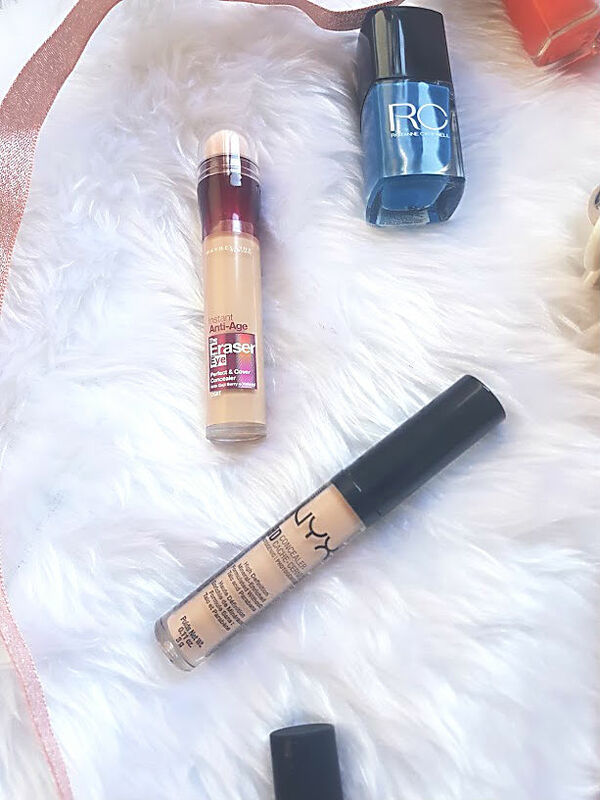 I use the Maybelline first and draw that weird triangle under my eyes and then take the NYX one along the bridge of my nose, under the eyes if it really needs it and the centre of my forehead. Both of the formulas for these are creamy, easy to blend and so long lasting. I've spoken about blush at great deal recently and for all the right reasons too. 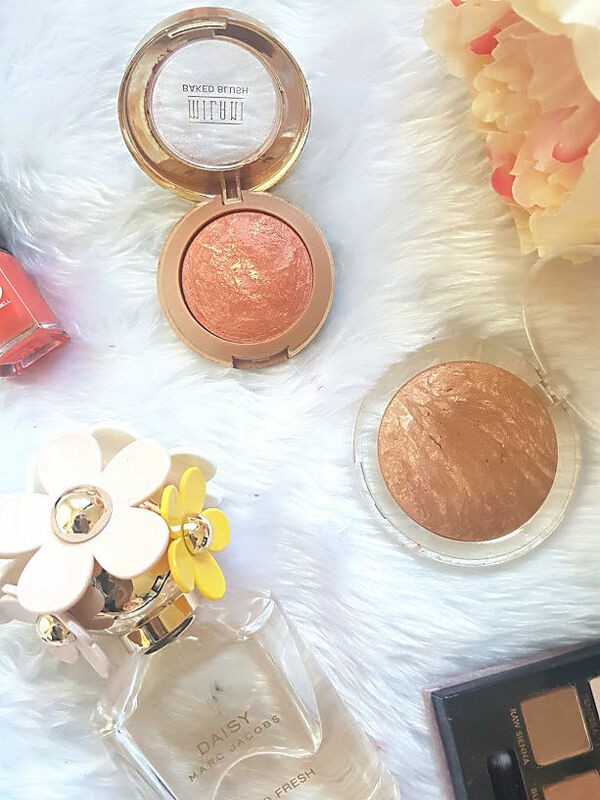 There's a whole post dedicated to the product right here, it features this stunning Milani blush that adds all the right amount of pink to the cheek. The Body Shop do a really lovely range of baked products (can you sense a theme going on here?). The bronzer is great product to use in the summer as it adds a bit of glitter to the skin but doesn't look like you've applied pure glitter. As well as my beloved So...? fragrances, I've been obsessed with Daisy by Marc Jacobs. The scent of this is very strong, sweet and floraly. Perfect for a hot, summers day. It can't be a summer edit post, or even a edit post on here without mentioning nail polishes now can it! 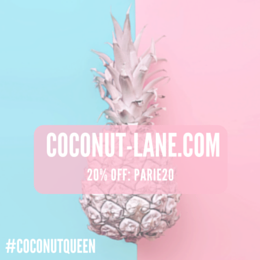 Summer is all about wearing bright and bold colours, even if the weather isn't looking the best, your nails deserve a treat and to be coloured. 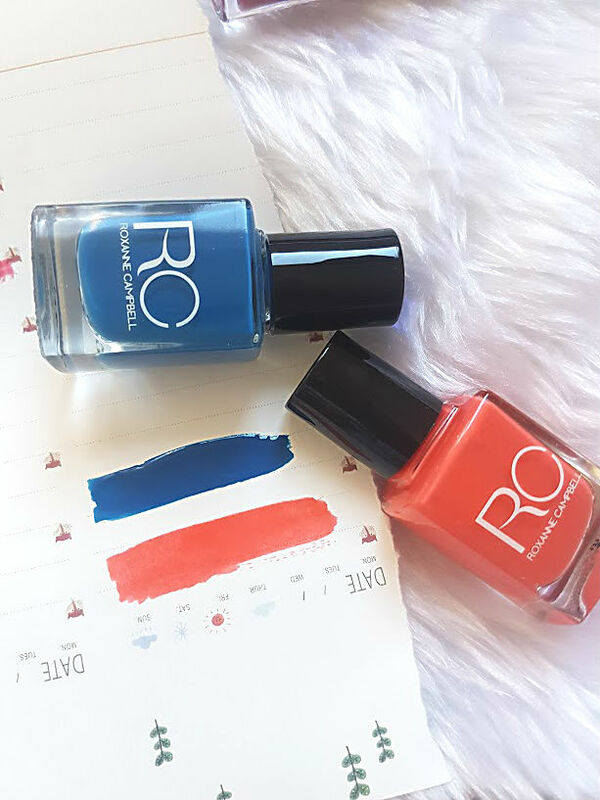 I have been loving both of these shades from Roxanne Campbell*, in Off to Jamica (coral) and Violets are Blue. The names alone make you think of jetting off somewhere hot and not the UK. These polishes retail for £10, which is a little pricey for a nail polish but you are paying for very high quality. I have noticed that these last on my nails for a good 6-7 days without any chips and a standard top coat, you only need two even coats or sometimes even just one to coat the nail. It is fair to say that these colours scream summer! 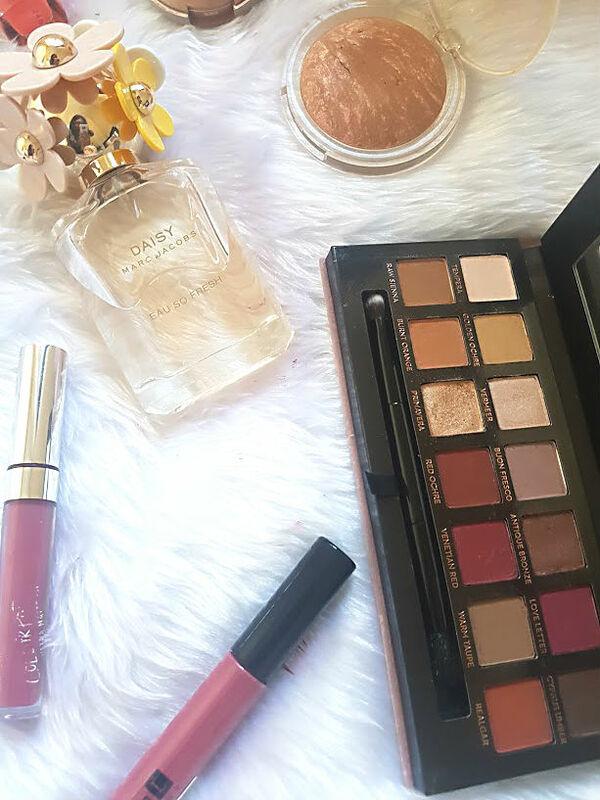 My aim for this month is to start weearing more bright lip colours, I have a few floating around but these three are my top favourites because of the formula. The Body Shop liquid lipsticks are gorgeous on the lips as they aren't drying and last all day long, this shade is Paris Penoy and on my skin tone I love it. Then we have Colourpop Viper, which isn't very bright on the swatch but on the lips it looks kind of bright and kind of a deep purple. 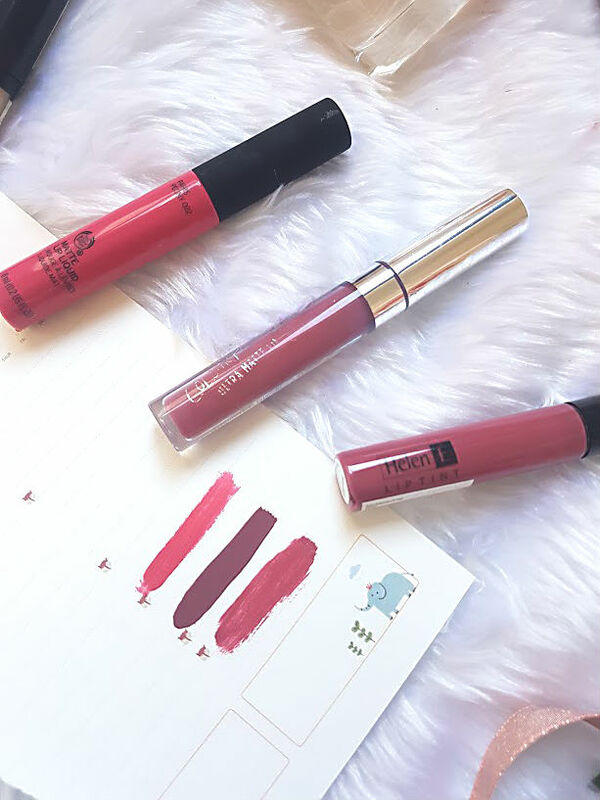 Colourpop lip products are honestly, incredible quality and you will not be disapointed. Finaly, we have a deep berry pink from Helen E, that I picked up last year at the clothes show, It came with a lip liner, but I tend to just go for the lipstick as it is such amazing quality. It does need a bit of blending out and manouvering but all in all it is stunning. These products are hopefully going to get me through the miserable weather and brighten everything up! What are your pre-summer must haves?